There is a lot involved with fly fishing, from choosing your fly rod, reel, and line, to figuring out which fly is going to land you the fish you’re looking for and how you’re going to wade into the water with everything you might need. That’s why we’ve put together this list of essential fly fishing gear to help get you started and make your experience a more enjoyable one. 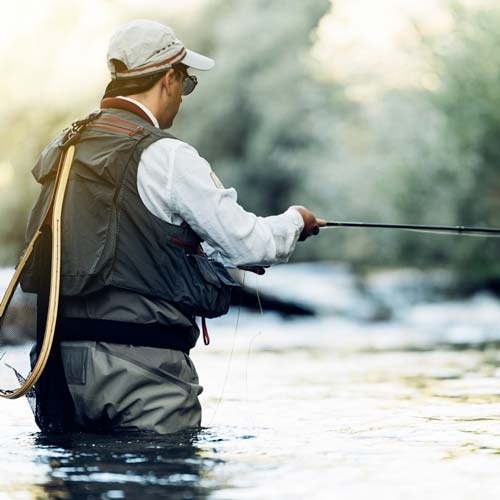 But before you read through this list, be sure to check out our guide to choosing the core components of your gear, Fly Fishing Basics: Choosing Your Fly Rod, Reel and Line, to make sure you have the basic necessities covered before adding to your ensemble. Dry flies float on top of the water, mimicking a natural adult-stage flying insect. They can quickly become waterlogged so pick up some fly floatant, or fly dressing, to keep your fly afloat. A waterlogged fly won’t attract any fish. Nymphs mimic the larvae-stage of aquatic insects and float at or just below the surface of the water. 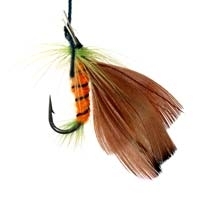 Because these flies can make it more difficult tell when a fish strikes, you’ll also want a strike indicator. Strike indicators are similar to bobbers, but they don’t float. Streamers, also referred to as lures by some anglers, are like Nymphs, but larger. Each angler is going to have their own preference, so it’s a good idea to pick up a number of flies to see which one works best for you. For a more comprehensive look at flies, check out our other guide, Fly Fishing Basics: What Fly Should I Use? Do you want mesh or fabric? Both have their pros and cons, but this ultimately comes down to personal preference. Think about the pockets. How many pockets do you want, and how large do you need them to be? As a general rule, you want medium to large pockets, as little ones can be more of a hassle than anything when you go to find your gear. Just make sure your vest has enough of them to hold everything you need. Consider how comfortable the vest will be over time. Your vest can quickly become heavy and cumbersome, so look for one that reduces the weight of the vest around your neck and shoulders. Fly Fishing Nets: If you’ve ever landed a fish, then you understand the importance of having a fishing net. Your fly fishing net is going to make it easier to land the fish and remove the hook, which is especially important for catch-and-release fishing. When choosing a net, remember it will be attached to your vest. Choose one that is large enough to hold a decently sized fish, but also lightweight. Magnetic Net Release Holder: Use a magnetic net release holder to attach your net to your vest. This will make it quick and easy to grab your net when you need to land a fish. 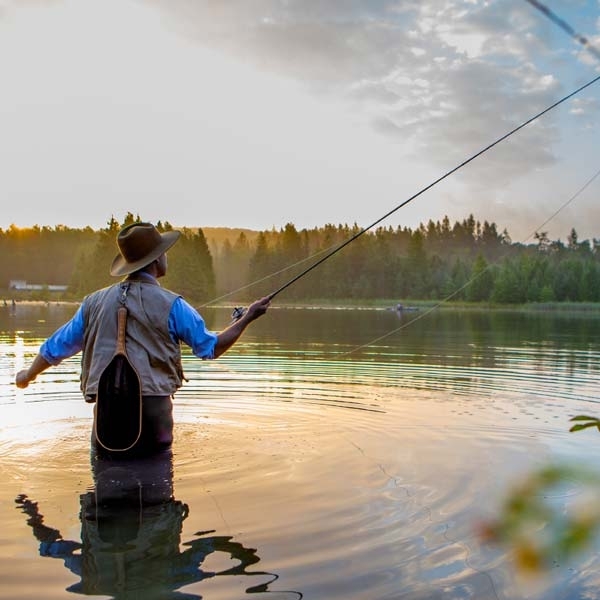 As a beginning fly fishing angler, you may think waders are more of a luxury than a necessity, but adding a good pair of waders will completely change your fly fishing experience. There are few things worse than feeling restricted on your fly fishing trip, so unless you only plan to fly fish from a boat, having a good pair of waders gives you the freedom to explore the waters without having to stick to the shore. You could venture into the water without waders, especially on hotter days where doing so may feel more comfortable, but using waders also adds a certain level of safety by preventing stings and leaches. 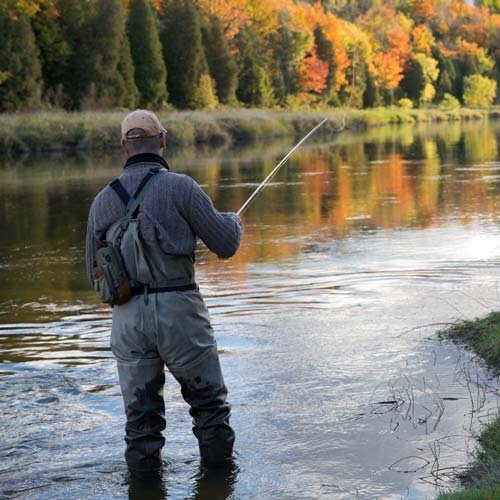 Hip Waders extend from your foot to your upper leg and are ideal for shallow, slow waters. Pros: They are easy to get on and off, and have the option for attached wading boots. Cons: You will not have protection in deeper or colder waters. 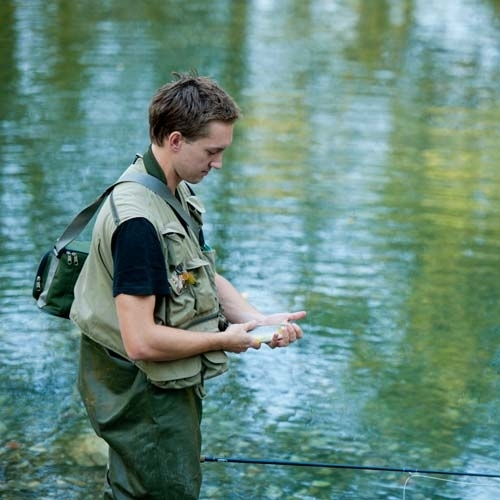 Wading Pants look and fit like pants and are ideal for waters beneath waist level. Pros: They are comfortable and light. Cons: Like hip waders, you won’t have an added layer of protection. Stockingfoot Waders extend from your foot to your chest or waist level and include a neoprene sock. Pros: You can choose your own wading boots. Cons: You may need to invest a little more buying the wader and wading boots separately. Bootfoot Waders extend from your foot to your chest and include attached wading boots. Pros: You don’t need to buy wading boots. Cons: They’re bulky , heavy and don’t give you option to remove the boots separately. If you don’t choose a wader with attached wading boots, you want to buy them separately. 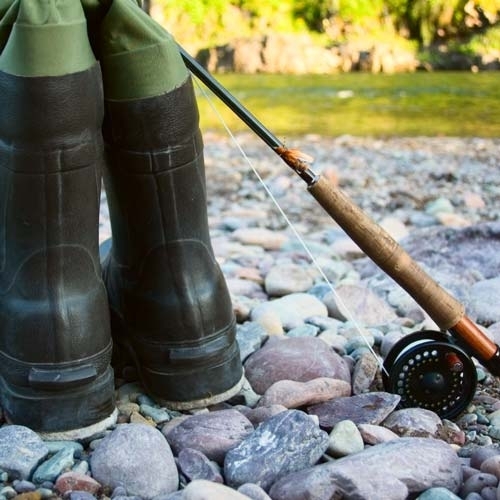 Wading boots are a critical component to any fly fishing angler’s gear. While fly fishing itself isn’t a dangerous sport, there are inherent dangers that come from being in the water. A good, quality pair of wading boots is worth the investment because they provide solid ankle support and a steady foot for better balance to prevent slipping and falling. Make sure they drain well, or they’ll pose a safety hazard from the added weight. Get a rubber sole for durability and traction. Check that they are lightweight to prevent exhaustion early in the day. Finally, to complete your ensemble, you want a nice pair of polarized sunglasses and a fishing hat. While you’re fly fishing, you’ll likely be spending long hours in and around the water under the sun. Polarized sunglasses are going to protect your eyes while cutting through the glare to make it easier to see into the water, and thus, see what’s happening out near your fly. A fishing hat is going to make your sunglasses work better while providing protection against sunburn and heatstroke. Although this list of fly fishing gear is by no means exhaustive, these basic essentials will get you set for the experience. So once you’ve selected your gear, pack up and head to the water to start practicing your fly fishing cast.